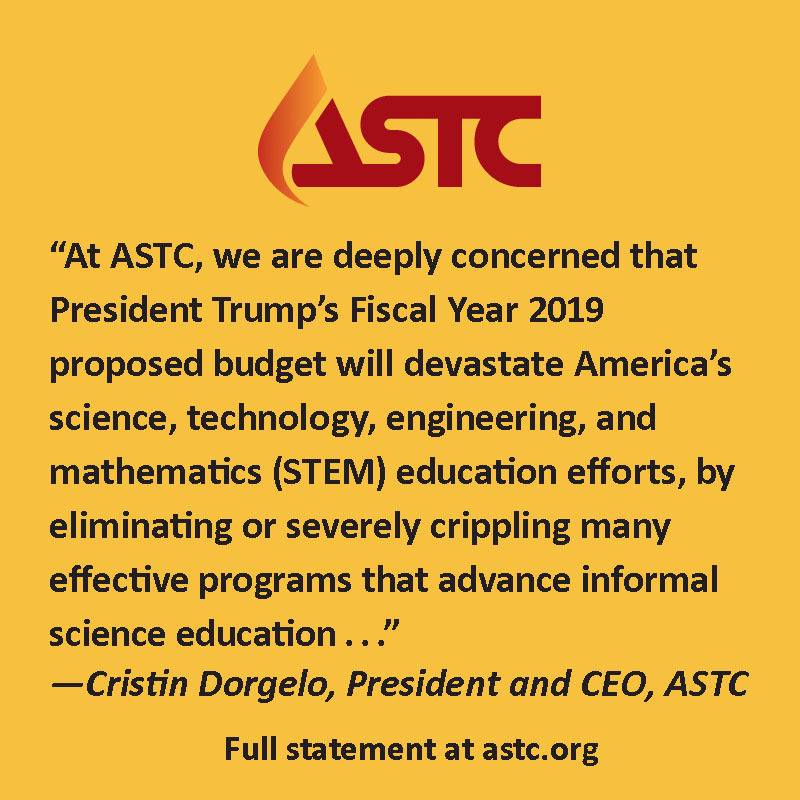 Cristin Dorgelo, President and CEO of the Association of Science-Technology Centers (ASTC) released the following statement regarding the Trump Administration’s Fiscal Year 2019 budget. 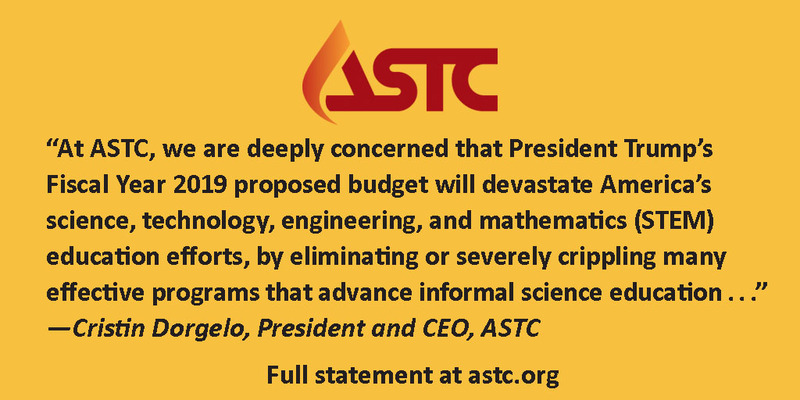 At ASTC, we are deeply concerned that President Trump’s Fiscal Year 2019 proposed budget will devastate America’s science, technology, engineering, and mathematics (STEM) education efforts, by eliminating or severely crippling many effective programs that advance informal science education, including those that support the important work of science centers and museums to engage communities across the country in educational and inspiring STEM experiences. At a time of rapid advances in science and technology, we face a pressing challenge to grow the STEM workforce and engage more students in science, technology, creativity, innovation, and invention. Now is not the time to cut back on the programs that invest in our children—our future leaders and changemakers. The impact of the proposed cuts to informal STEM education would be made all the worse when paired with the proposed devastating elimination of agencies that support museums nationwide. Combined, these cuts would severely limit educational, economic, and cultural opportunities in communities across every state and district. 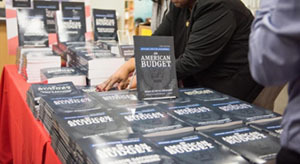 The President’s budget proposed similar cuts last year. 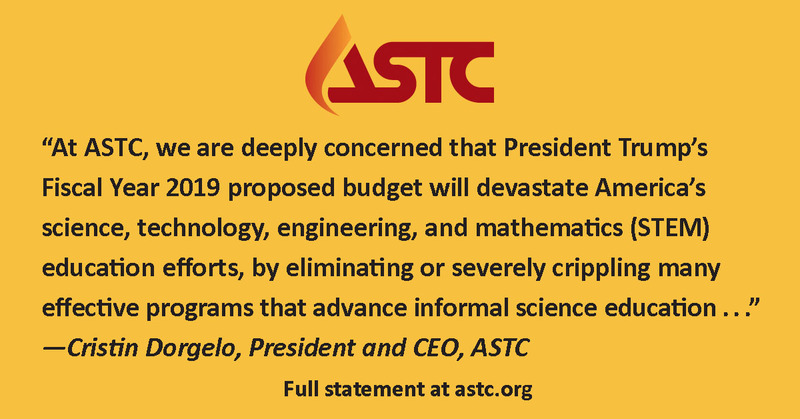 Fortunately, the ASTC community and our partners worked with a broad, bipartisan coalition of Congressional members to support continued funding for key programs. 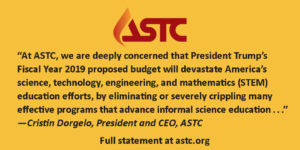 We appreciate the leadership of the Congress on these priorities, and ASTC and its members will continue to work with museum advocates and science and technology leaders across the country to share with legislators and appropriators the beneficial role science centers and museums serve in our communities, and to see that these short-sighted cuts never see the light of day. ASTC looks forward to providing its U.S. members with continued collective voice and tools for advocacy, as together we demand that we not shortchange our shared future.